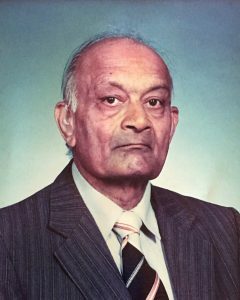 Late Manilal Rajpal Narshi Shah | Oshwal Association of the U.K. It is with deep regret that we announce the death of Mr. Manilal Rajpal Narshi Shah(Galaiya) formerly of Thika, then Nairobi and later of London on Wednesday, 28th November, 2018. He was son-in-law of Late Mulchand Khimji Sumaria and Late Maniben Mulchand Sumaria.